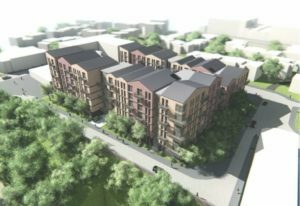 A successful start to the New Year, as the Arcadis planning team secure planning consent for two major residential schemes within Birmingham City Centre. 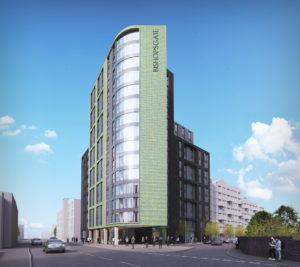 Redevelopment of the former Renault Garage site in Digbeth, and former Nautical Club in close proximity to Broad Street and Five Ways, were both approved by Birmingham City Council Member’s at last Thursday’s committee (18th January), subject to Section 106 agreements. The redevelopment of the former Renault Garage in Digbeth will see 517 apartments, alongside ground floor commercial units delivered. The scheme is earmarked as the catalyst for regeneration of the wider Digbeth area, acknowledged by Birmingham City Council as an area for change over the coming years. 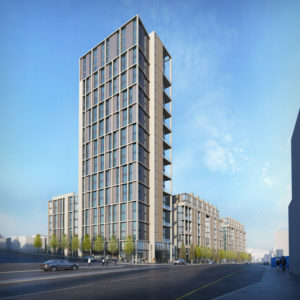 A key element of the scheme is the 25 storey tower, which will form a landmark beacon for this area of the city. The scheme received considerable support from Birmingham City Council Officer’s and Member’s. It represents the latest scheme within the city to be driven and funded by Chinese developers. The Nautical Club scheme will deliver 290 quality student living apartments, in close proximity to Broad Street and Five Ways. The development rises to 15 storeys at its tallest point, fronting the corner of Bishopsgate Street and Communication Row. The S106 package associated with this development will secure a financial contribution towards the Canal and River Trust, to improve lighting along the canal tow path adjacent to the site, providing a sustainable, convenient ad traffic free route for future residents. The regeneration of Nautical Club complements the neighbouring Arden Gate scheme, which Arcadis also gained consent for in September 2017. Construction at Arden Gate has already commenced, and will deliver 214 residential apartments with associated landscaping and parking. All in all, a great start to 2018, and a sign of things to come in Birmingham!